This genre of films appeals to a family audience. The stories often pick up on the characters and type of stories that children have come across in children’s books – pirates, swashbuckling heroes, a quest for lost treasure and lots of adventures with monsters and exotic locations such as ancient Egypt. The most successful action adventure films include Spielberg’s Raiders of the Lost Ark franchise, and Pirates of the Caribbean trilogy. Pirates of the Caribbean is a series of adventure films directed by Gore Verbinski, and produced by Jerry Bruckheimer for Walt Disney. The three main characters are Captain Jack Sparrow (Johnny Depp), Will Turner (Orlando Bloom), and Elizabeth Swann (Keira Knightley). 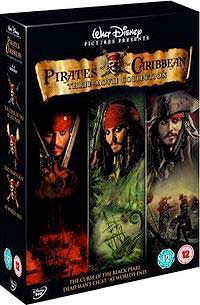 The first film in 2003 was Pirates of the Caribbean: The Curse of the Black Pearl, followed by Pirates of the Caribbean: Dead Man’s Chest in 2006. The sequel broke box office records worldwide the day of its premiere. The third film in the series, Pirates of the Caribbean: At World’s End was released in 2007. So far, the film franchise has grossed over $2.68 billion worldwide. The next film without Keira Knightly but with Johnny Depp Pirates of the Caribbean: On Stranger Tides, is set to be released in 2011. 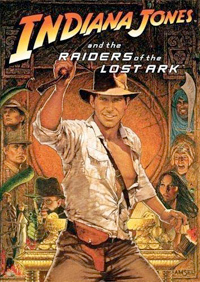 Indiana Jones and Raiders of the Lost Ark was the top box office film of 1981, with five Academy Awards in 1982, including Best Picture. 15 Video Games (as of 2009). Narrative led films with tightly woven story arcs, where the dialogue drives the plot rather than builds character.